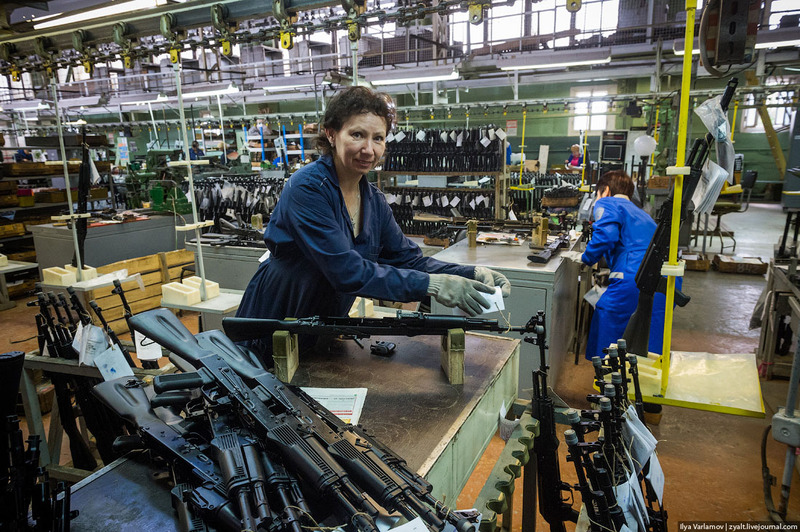 Russia is the second largest conventional arms exporter after the United States. 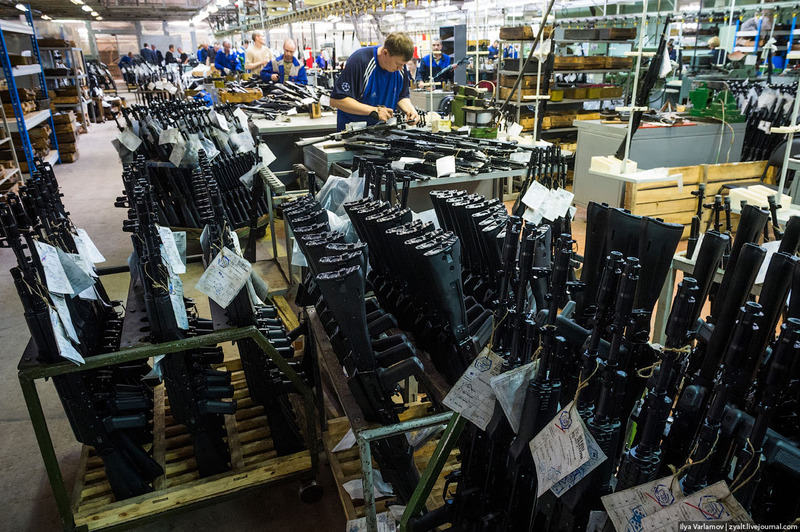 Russia’s iconic AK-47 is known all over the world. 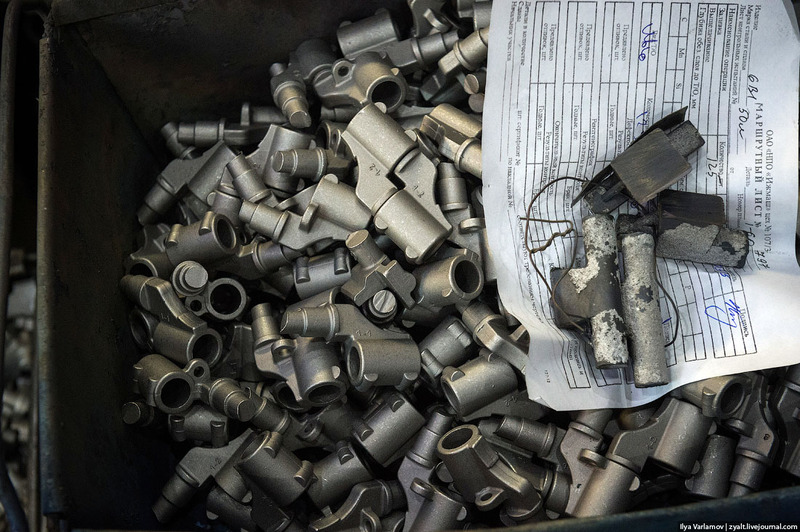 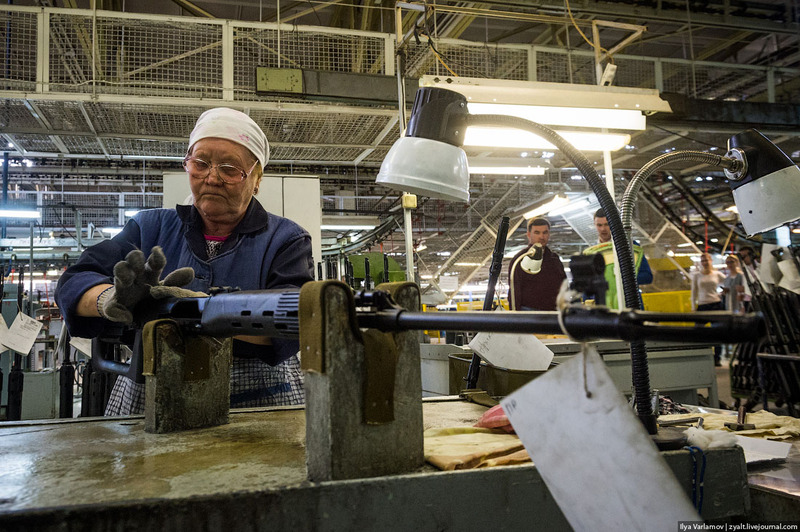 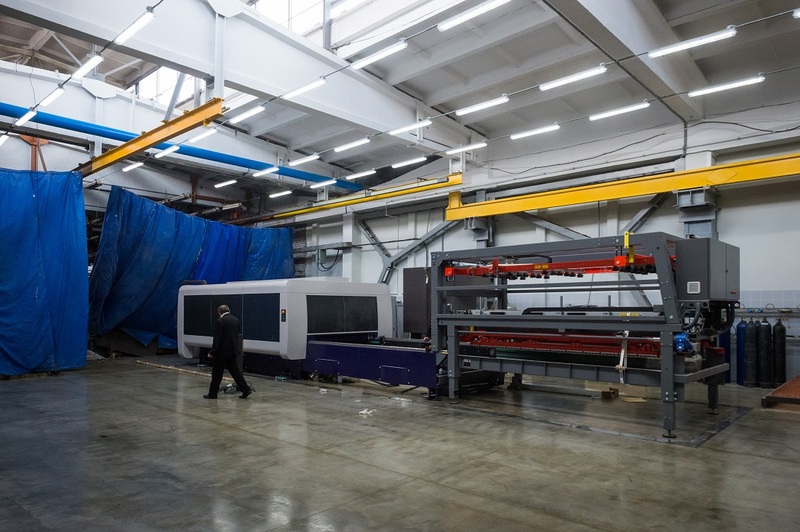 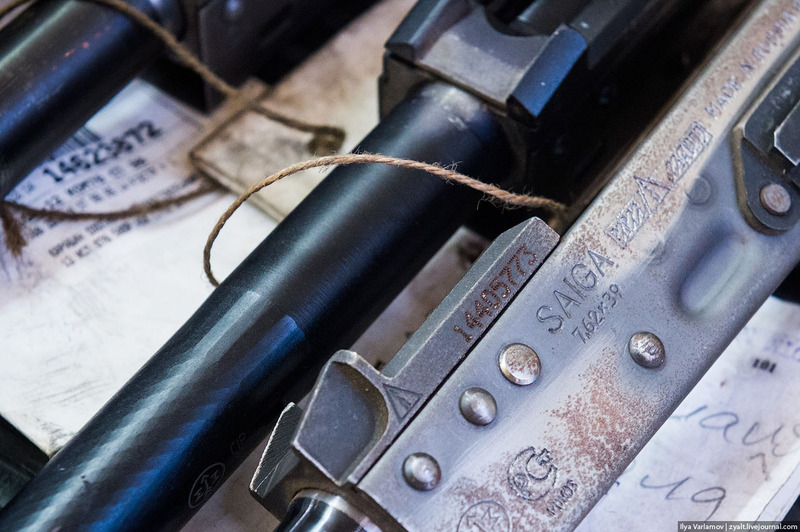 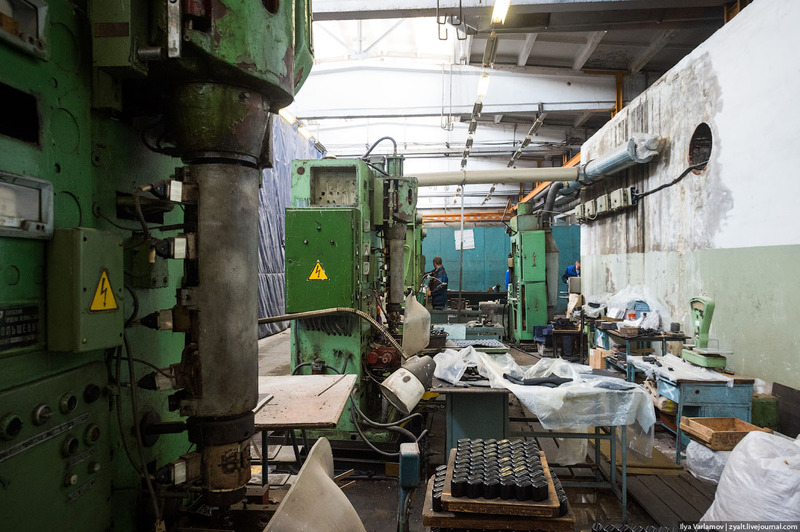 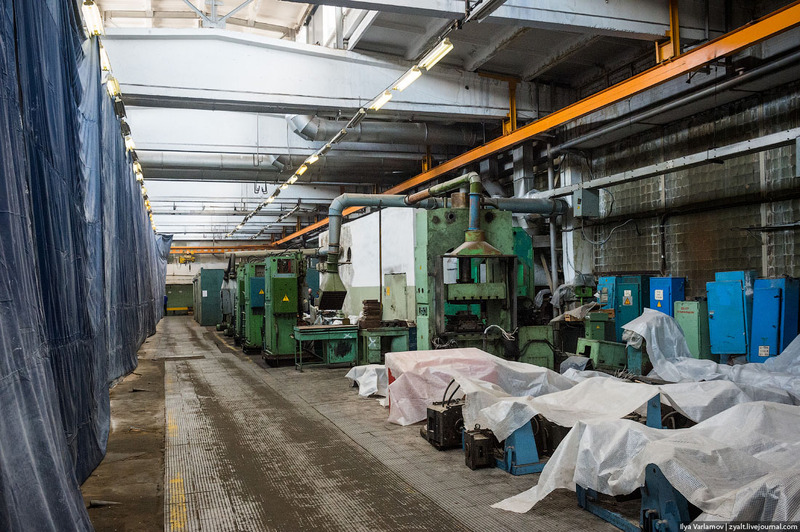 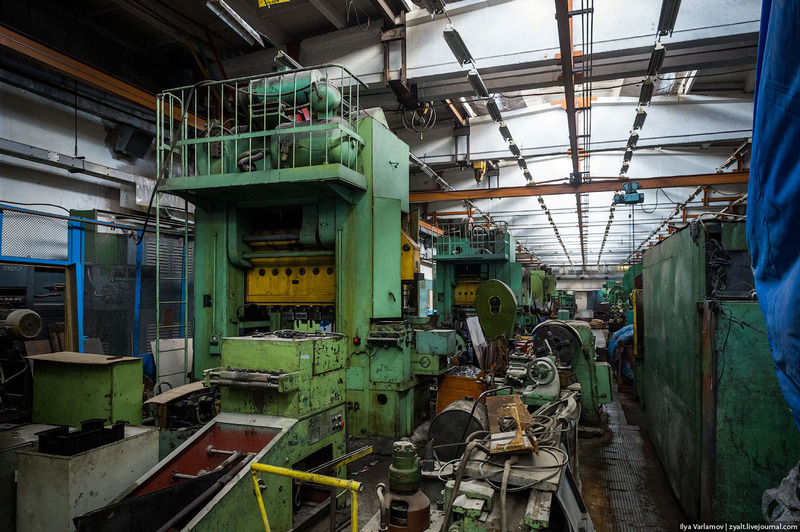 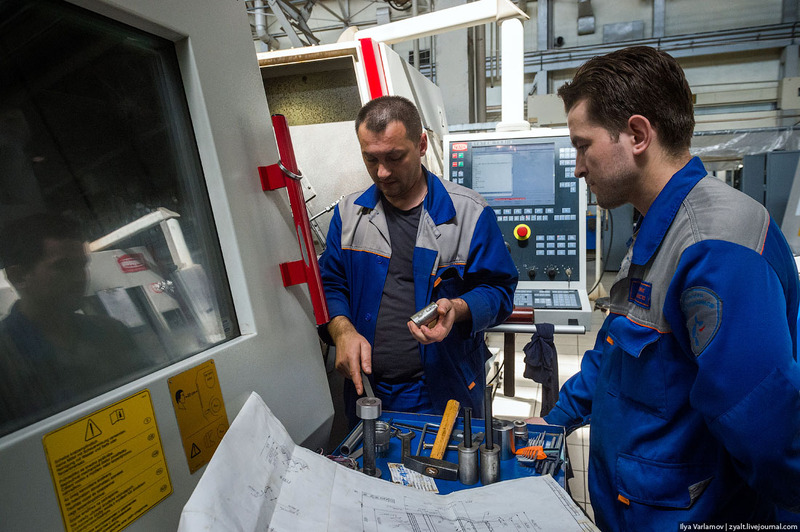 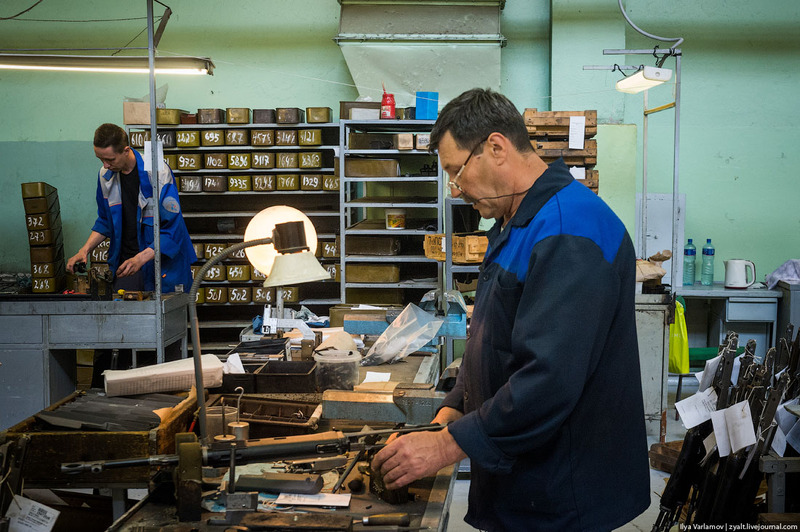 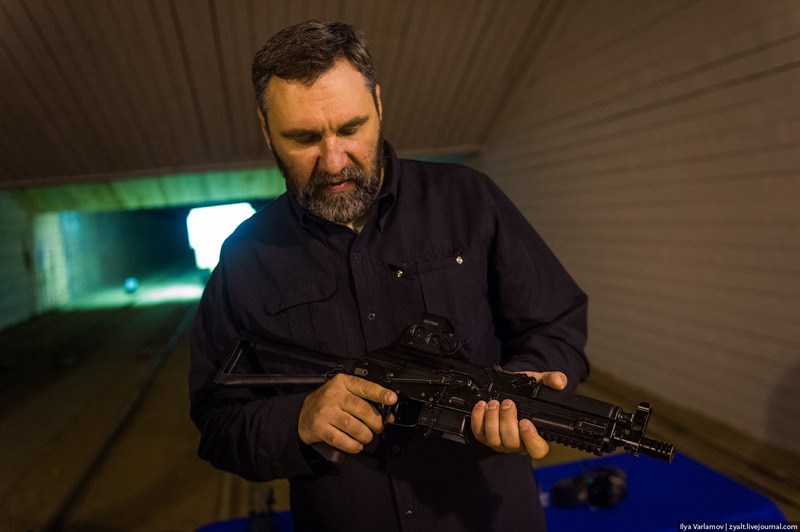 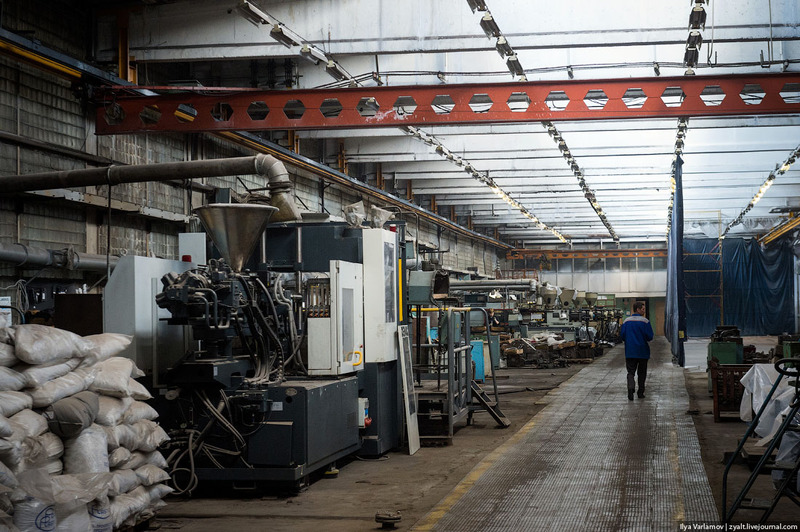 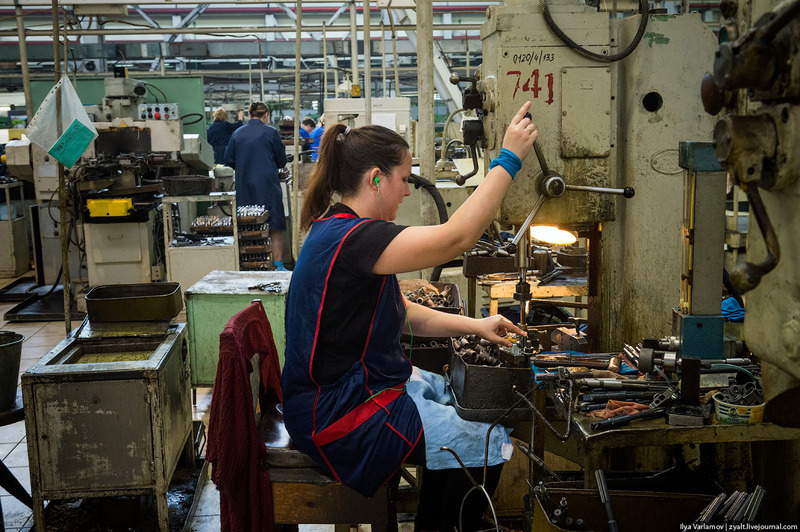 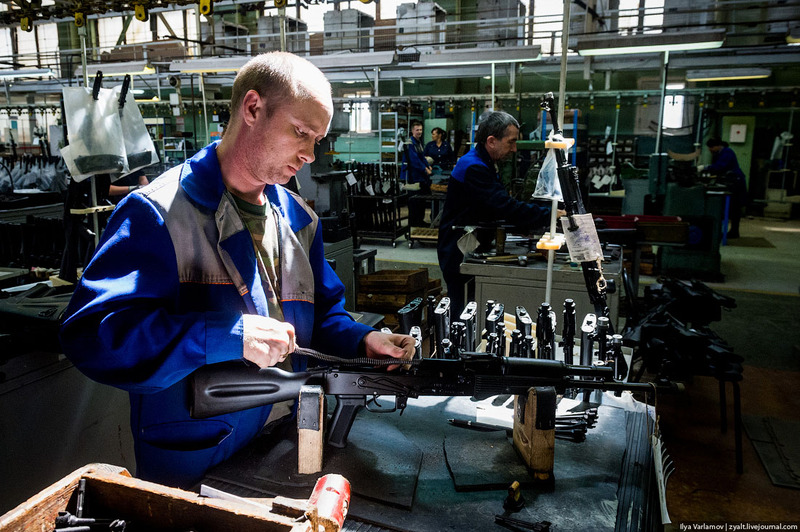 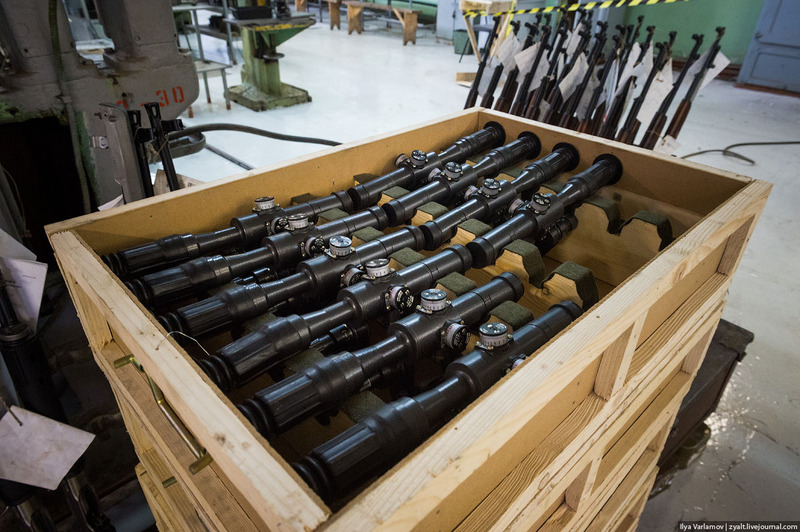 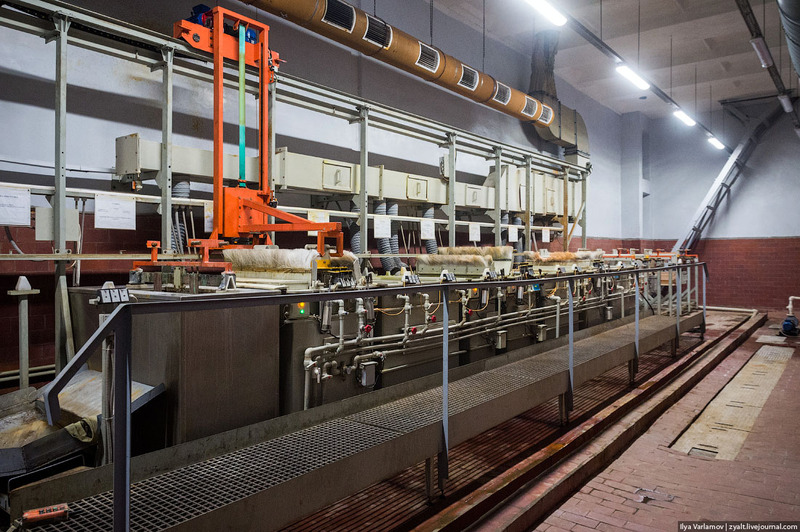 In order to see how Kalashnikov rifles are made, Russian photo blogger Ilya Varlamov traveled to the city of Izhevsk, where he visited Izhevsk Machinebuilding Plant. 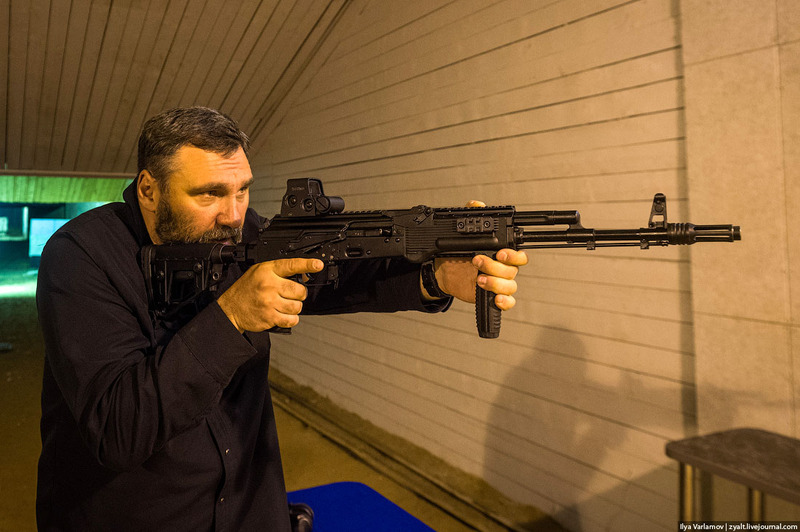 Formerly known in Russia as IZHMASH, a weapons manufacturer, today is renamed as Kalashnikov Concern. 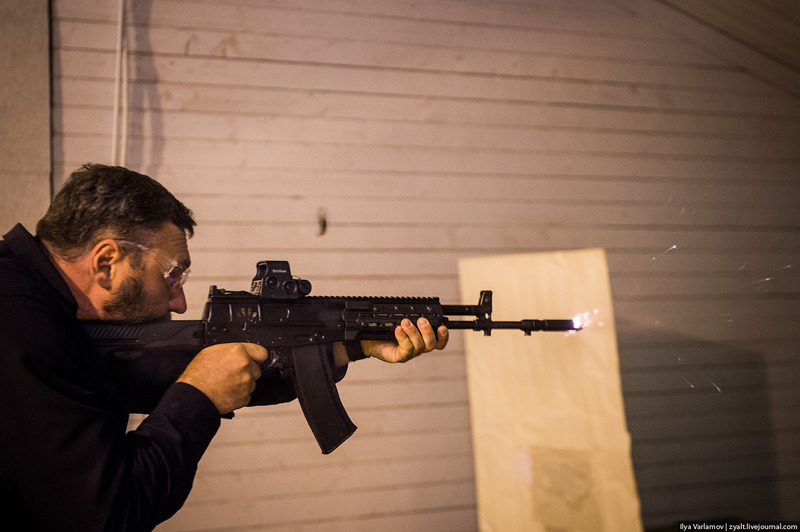 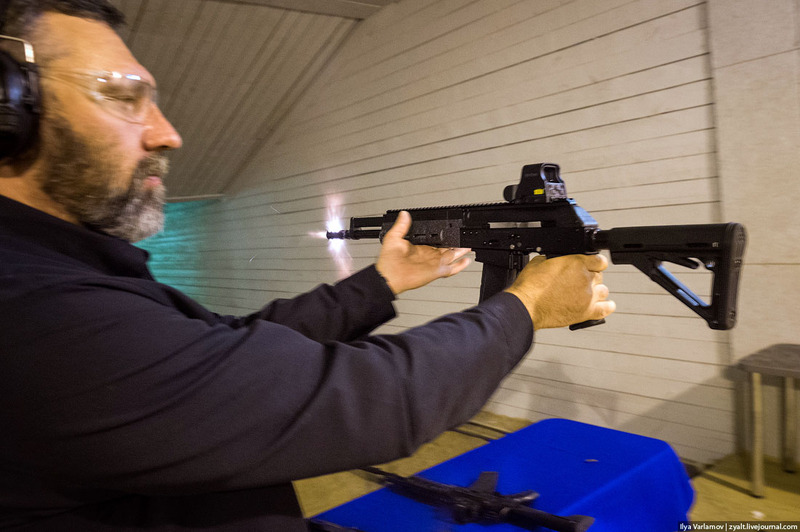 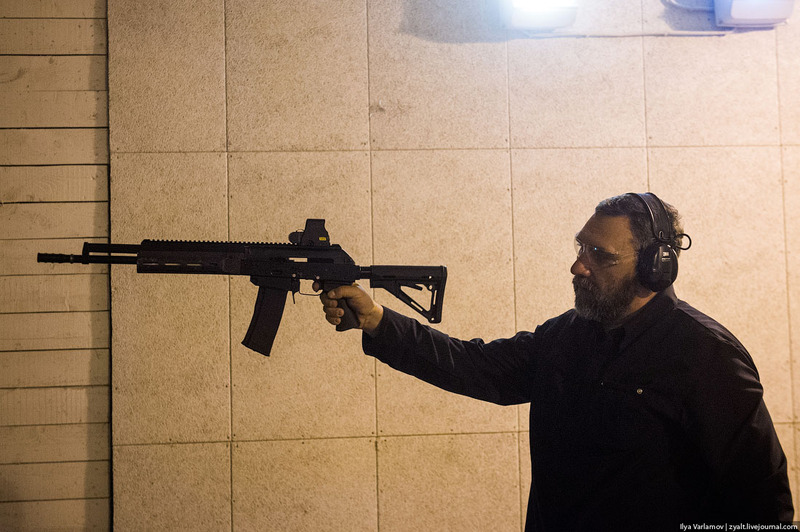 Firearms produced at Kalashnikov Concern include fourth-generation Kalashnikov assault rifles – the 100-series AKs: AK-101, AK-102, AK-103, AK-104, AK-105. 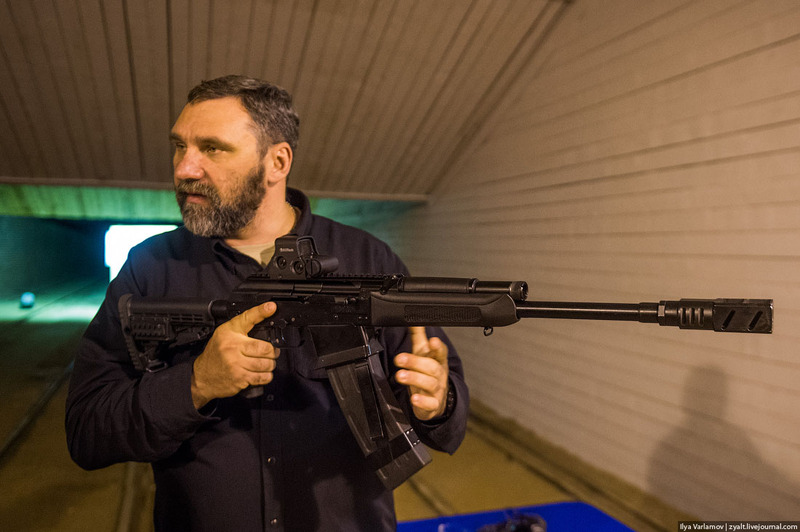 The company is also working on upgrades for the most ubiquitous assault rifle of the Russian Army: the Kalashnikov AK-74. 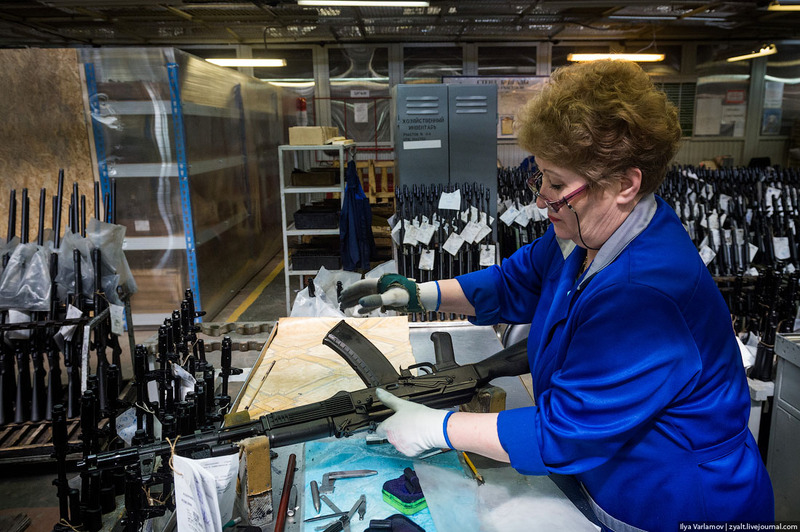 Before the economic sanctions against Russia, the plant used to export 80% of its production to the U.S. 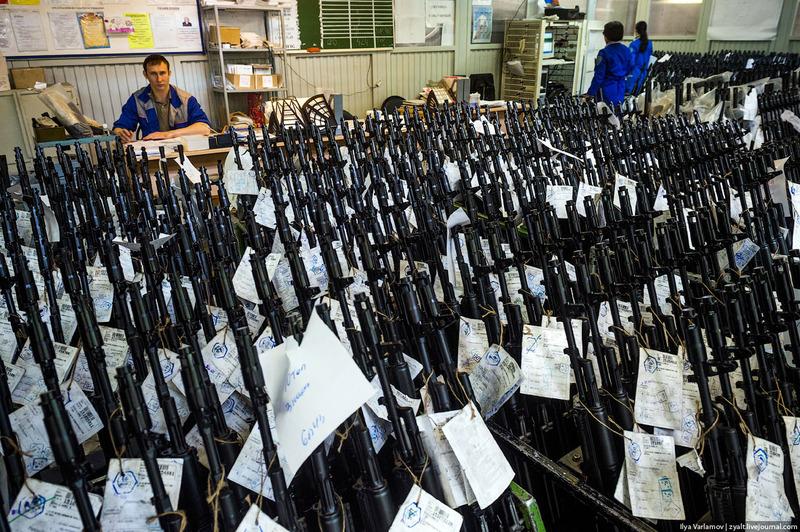 Gun stores. 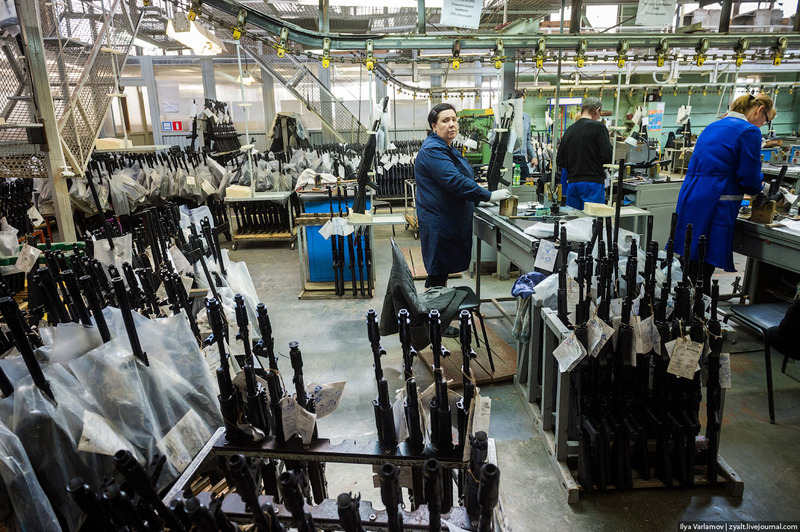 Today, the main consumers of Kalashnikov’s weapons are Africa, Middle East, Southeast Asia and Latin America. 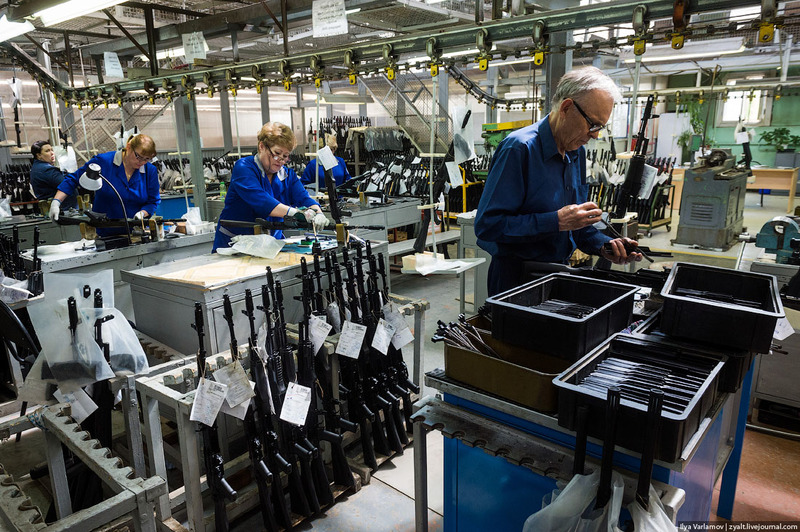 As the result of switched exports and increased Russian military demand, Kalashnikov plant actually increased its production of firearms (from 70,000 in 2013 to 120,000). 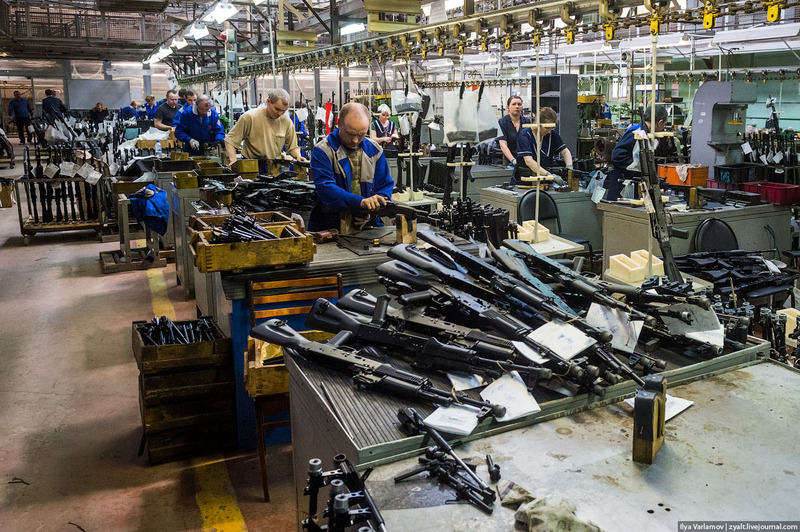 And here is how Kalashnikov rifles are made. 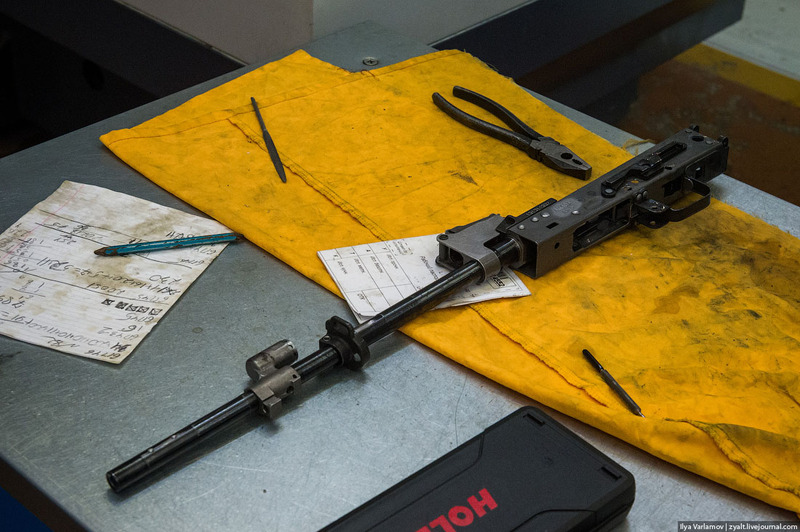 The production of AK is not something unusual. 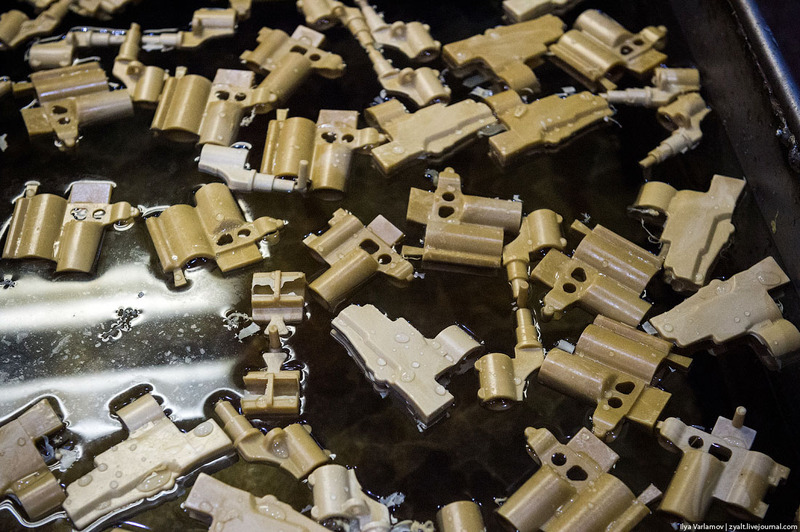 First, they make certain parts, then put them together into blocks. 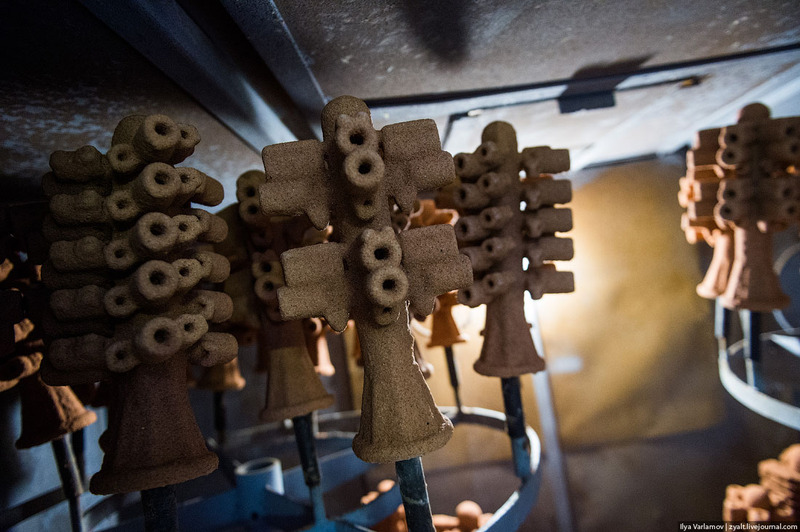 This is a ceramic form. 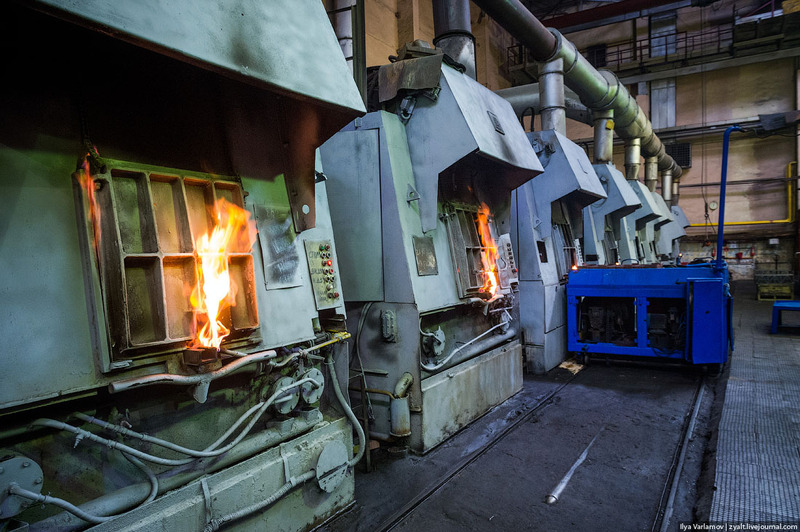 The AK parts are heated in furnaces to a certain temperature, changing the structure of the material and their hardness. 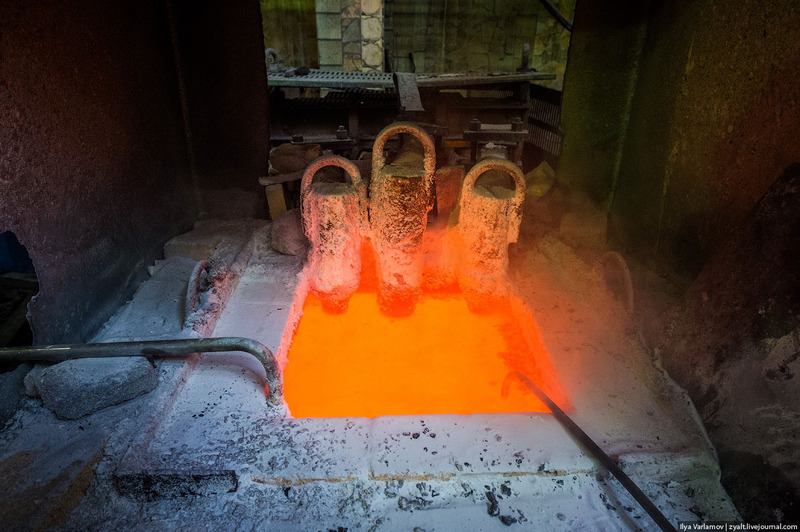 The process of tempering of the metal parts. 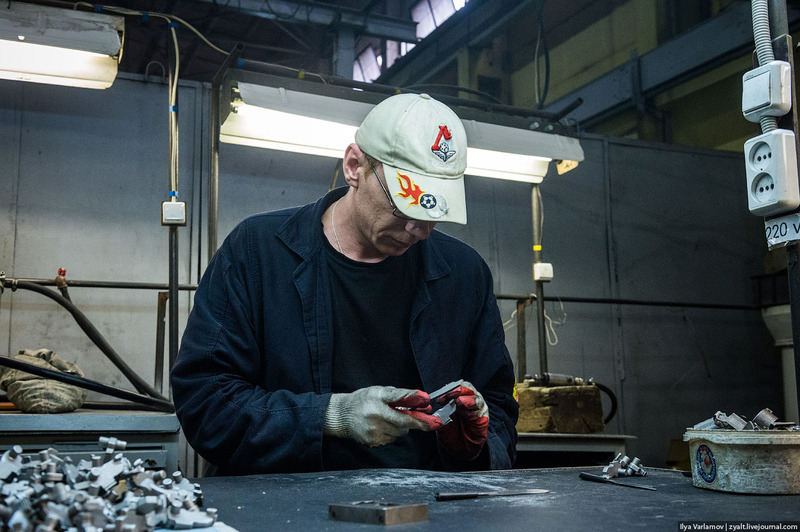 Metal surface treatment with chemicals. 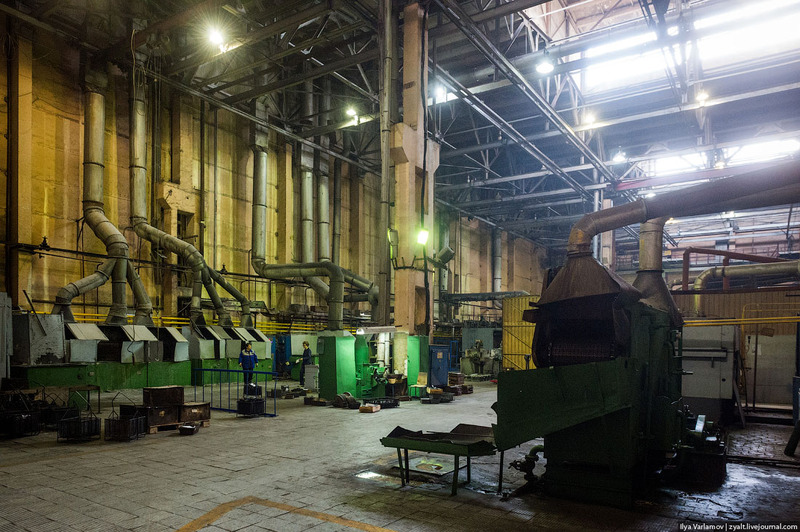 This is the old part of the plant. 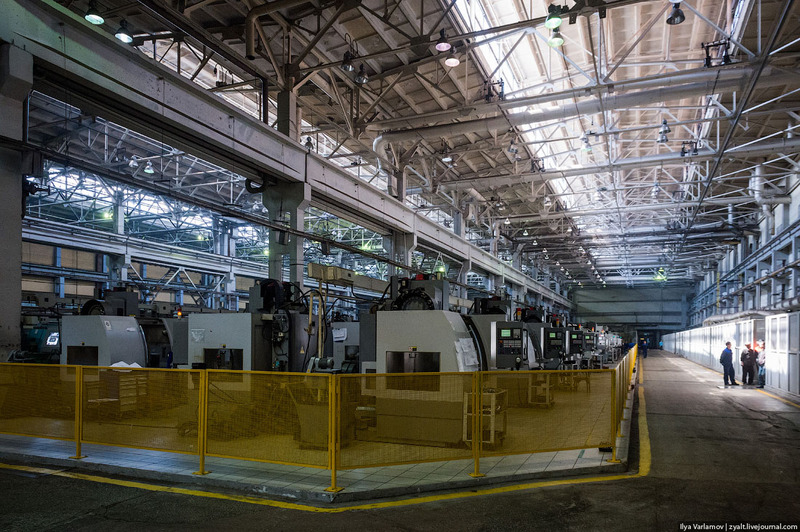 As the part of a modernization plan, the plant is getting its new equipment. 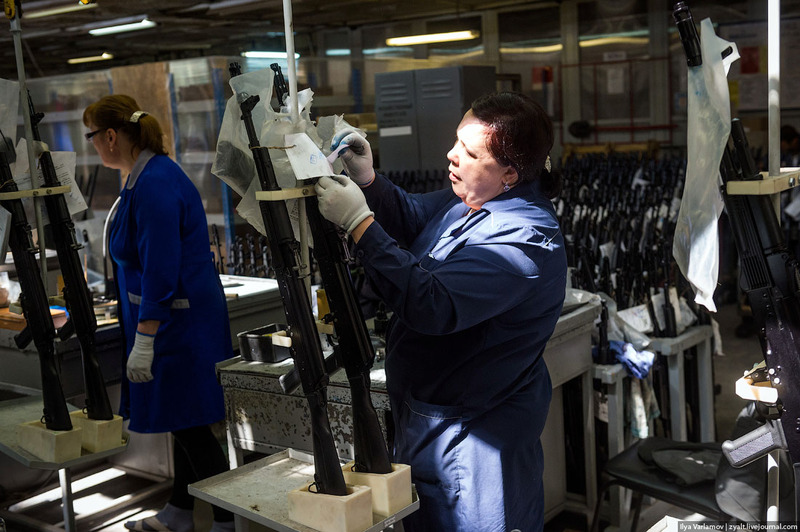 However, its missing some parts due to the economic sanctions. 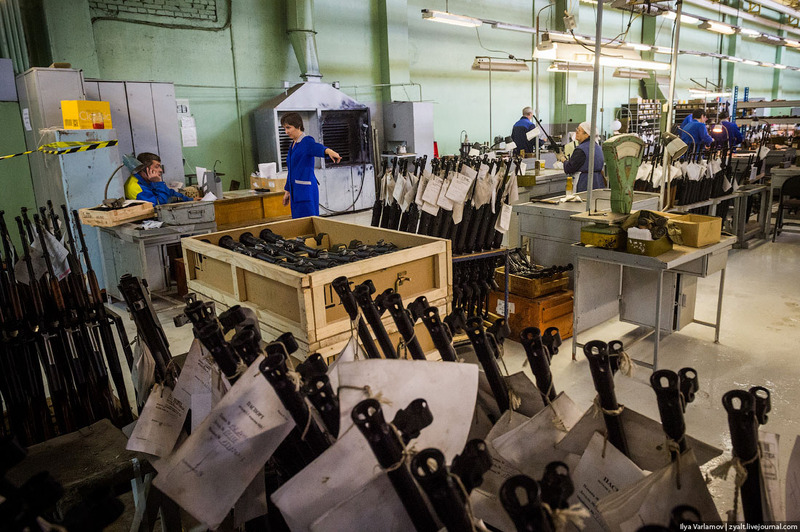 So the plant management is focusing on Asian and Russian markets, instead. 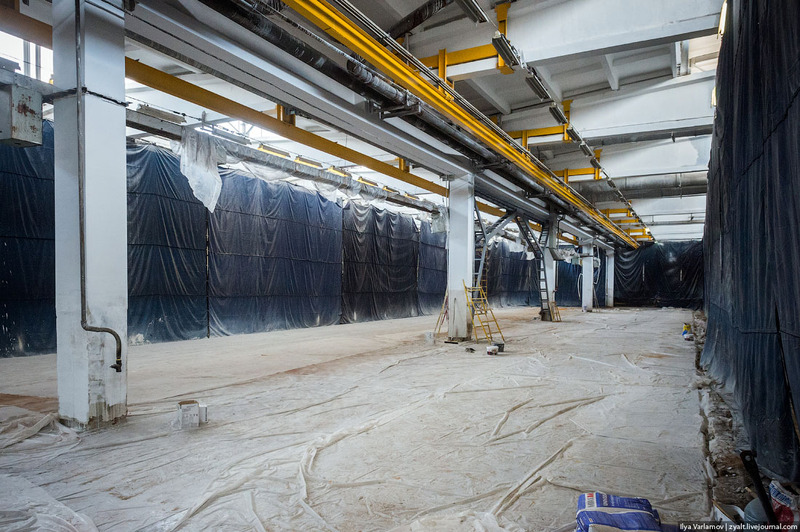 The investment of the modernization program is still in progress and expected to be completed by 2017. 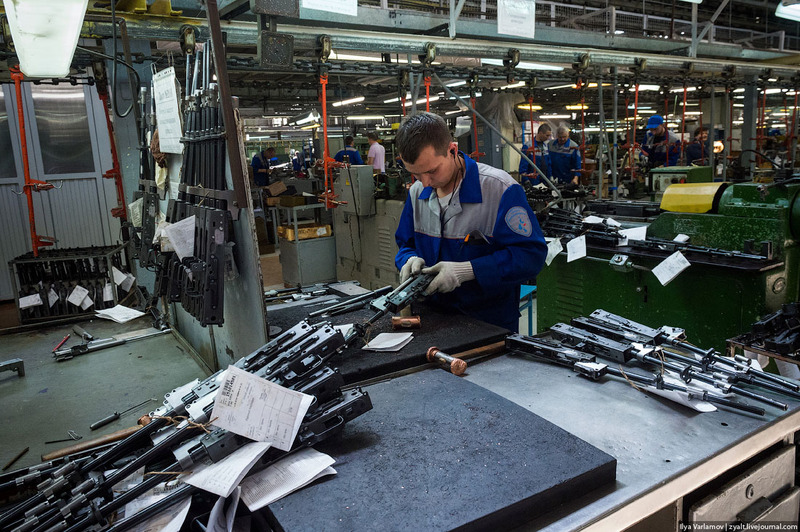 By 2020, the “Kalashnikov” firm is planning to increase the production and gross revenue in 3 times while reducing production costs in half. 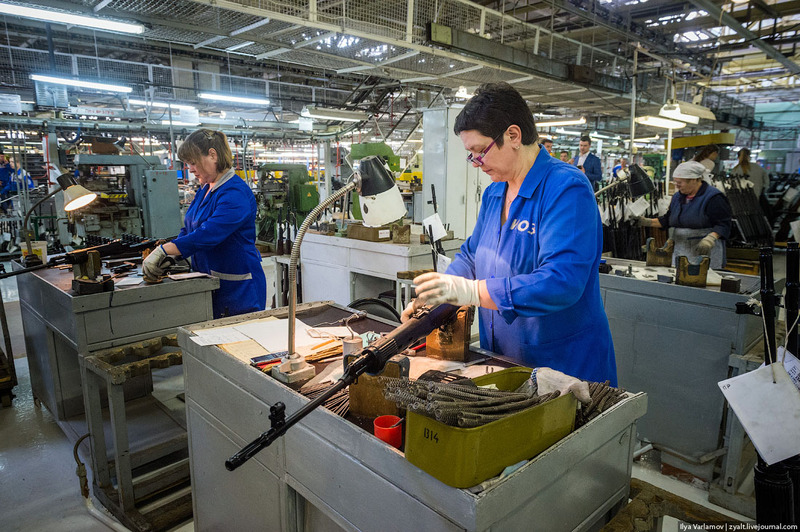 Today, the plant upgrades/modernizations are going on, while the manufacturing is still on. 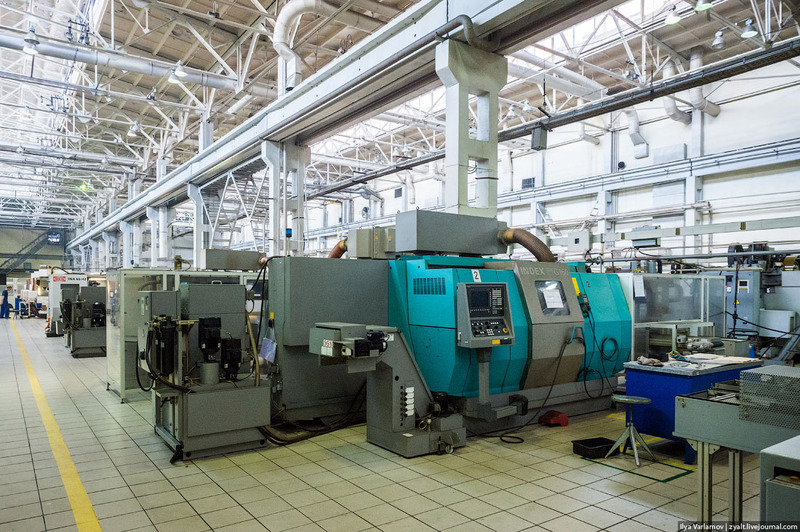 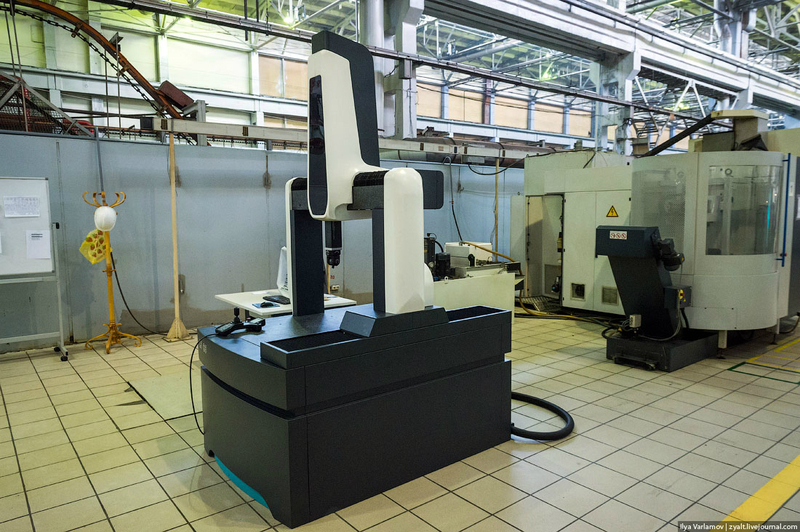 The old machines are gradually replaced by new ones. 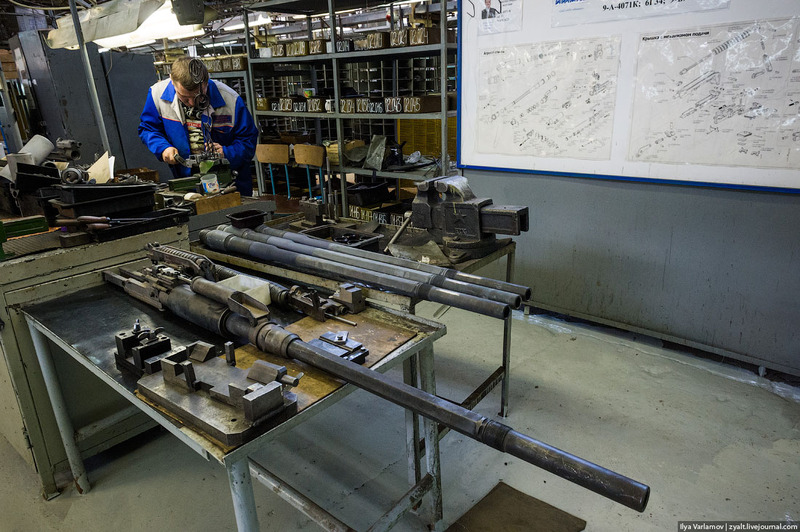 Each weapon is assembled by a one person. 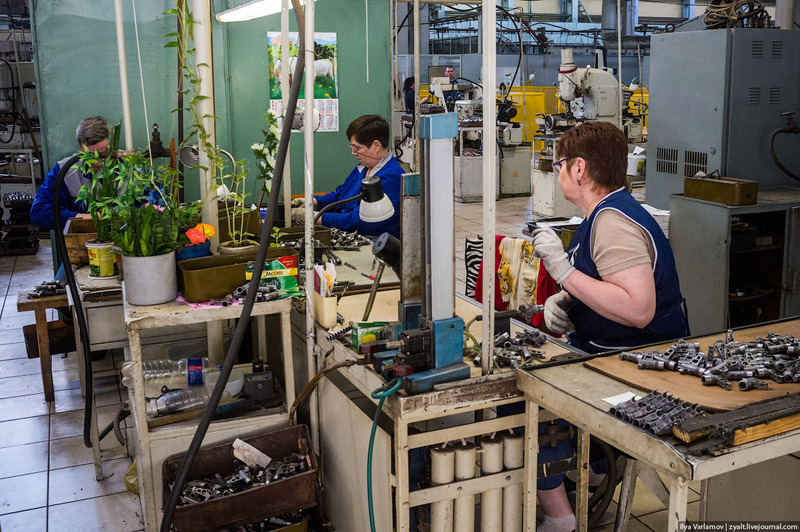 Assembly is mostly done manually, despite of the plant upgrades. 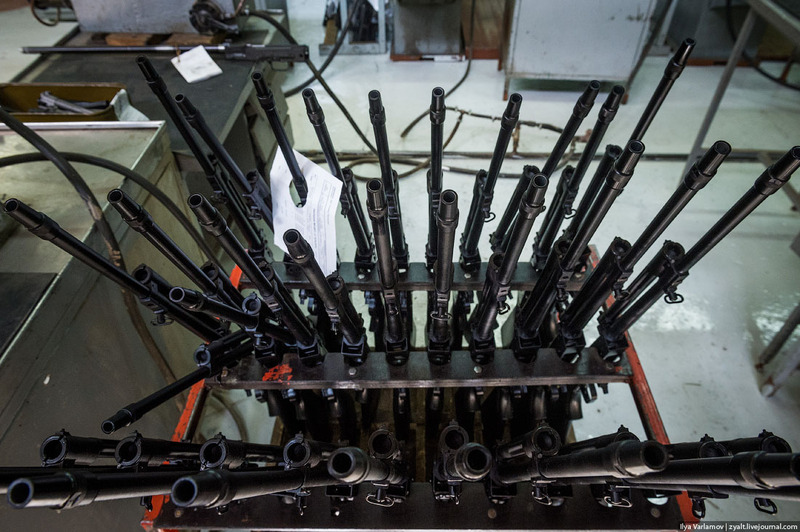 The final part of the assembly. 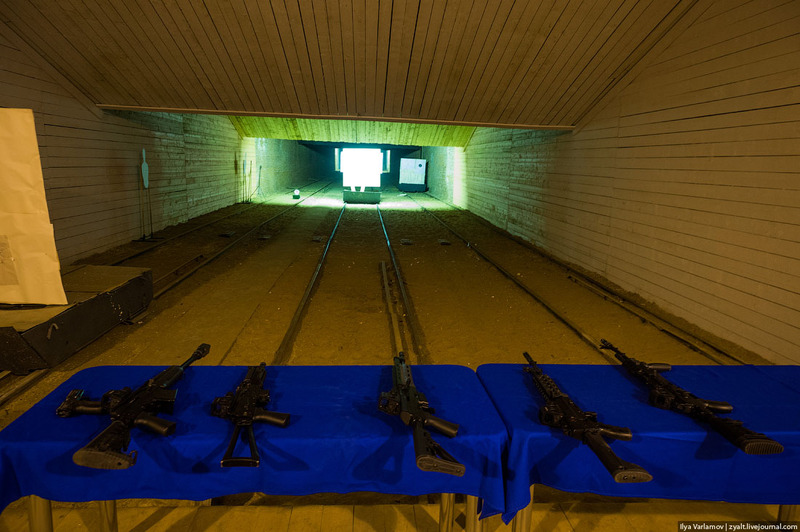 Izhmash indoor shooting range designed to test the new rifles. 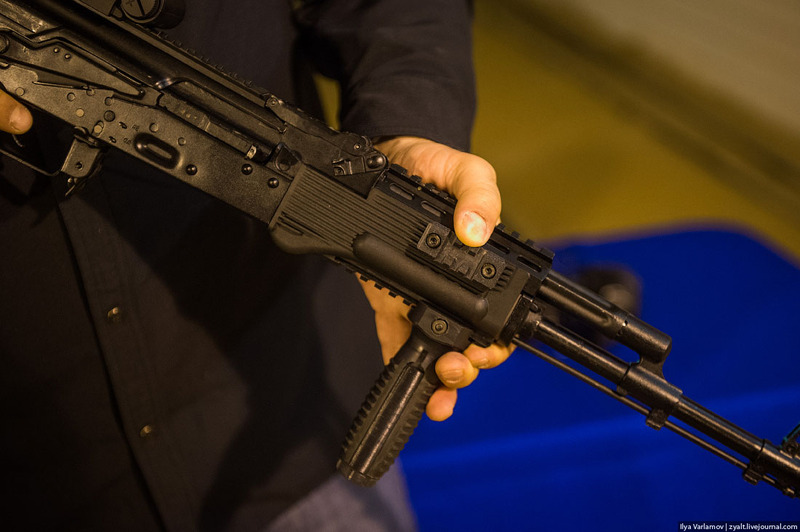 Most likely, this AK-12 will be put into military service later this year. 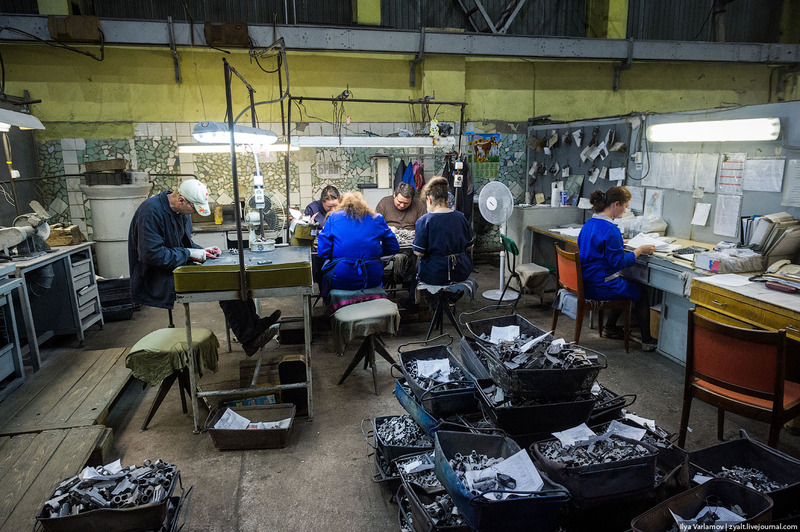 Photo courtesy of Ilya Varlamov. 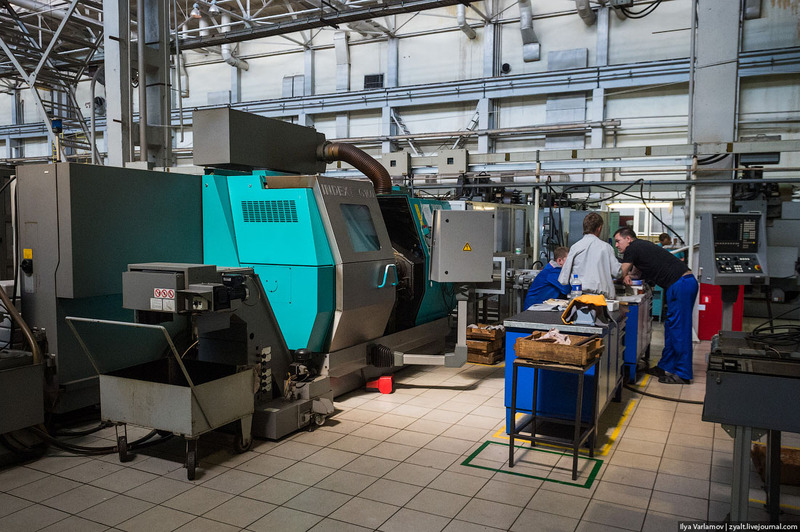 Would you please guide me,and give me email add of manufacture?